Where did the ‘Jay’ come from? Coincidentally we, John & Jola, had children named Jason, Jamie & Justine. With so many Js in the family, Jay Berries was the only way to go! 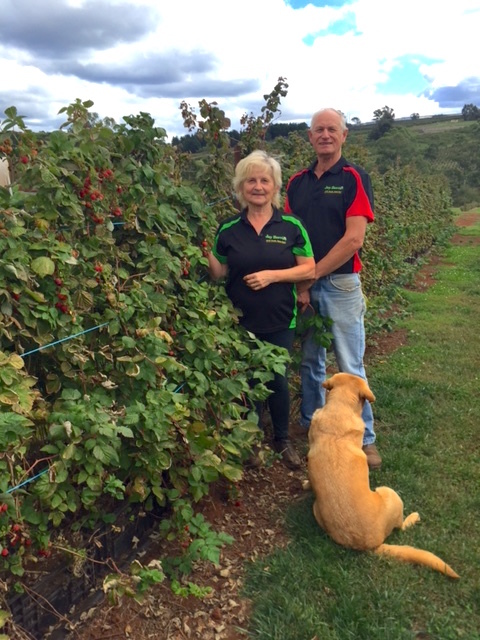 Jay Berries was founded 20 years ago at the Wandin East property. Initially a strawberry farm, Jay Berries soon expanded to all sorts of berries. For 15 years Jay Berries was solely a commercial farm selling berries wholesale to markets. Five years ago we decided to share our farm with the public. We wanted to give people the experience of getting in touch with nature and learning how their food grows and where it comes from. We have now seen thousands of people enjoy picking their own berries and having a great experience on the farm. We are the proud owners of Jay Berries. Between us we have over 60 years combined farming experience. Berries are our lives! Experimenting with new berry varieties is exciting, and over the years we have selected the perfect balance of great tasting and looking berries. Now with u-pick, we have the pleasure of seeing so many people enjoy the farm that we have built up over the years.